Through the Inner Loop East Transformation Project, the City of Rochester, NY is reimagining its street network by putting people and place before cars. The project supports the city’s vision for a more vibrant, connected downtown by converting an outdated urban expressway into a walkable, bikeable Complete Streets boulevard that reconnects the neighborhoods once divided by the expressway. This project is an important step in achieving the goals set forth in the city’s Complete Streets ordinance and Master Plan. Downtown Ithaca, NY, is one potential model for walkable development upstate. Photo by Photo by Shannon Williamson, Downtown Ithaca Alliance. In his State of the State address last week, Governor Andrew Cuomo outlined ambitious plans to spur economic growth in upstate New York, and called for a push to revitalize the region’s struggling downtowns. One of his reasons for focusing on downtown revitalization specifically? Companies across the country want to be located in walkable neighborhoods—as Smart Growth America outlined last year in our report Core Values: Why American Companies are Moving Downtown. Amtrak station in Rochester, NY. Photo via New York Railroads. Rochester, NY is building a transportation gateway to the city that will serve the region and become a landmark for generations—thanks in part to a grant from the U.S. Department of Transportation (USDOT). In August, USDOT dedicated $15 million in TIGER grant funding to replace the city’s current Amtrak station, which first opened its doors in 1978, with a new intermodal transit center. The new 12,000 square foot, $26.5 million facility will include high passenger platforms, an underground concourse and two new passenger sidings. 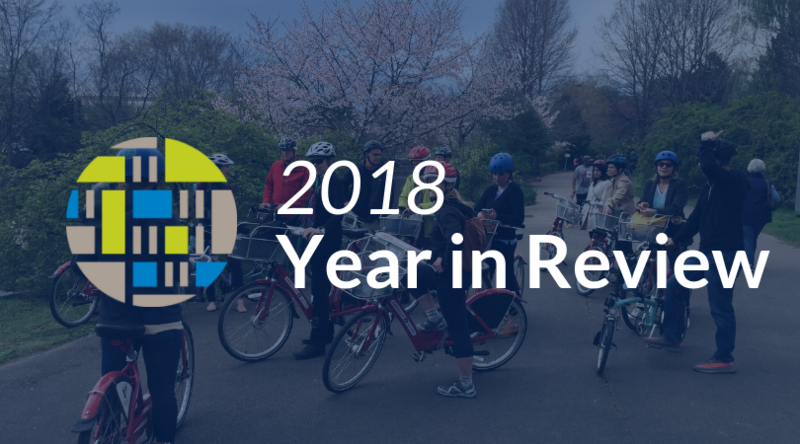 This week: A new coalition formed in Minnesota, Lee’s Summit may be the 99th jurisdiction to adopt complete streets, new bike lanes in Rochester MN and more.